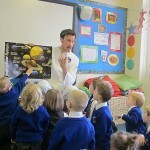 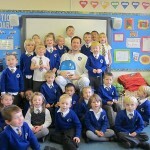 Reception had a fantastic afternoon when astronaut Jason Fortune visited. 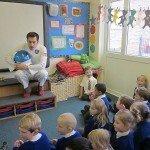 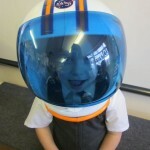 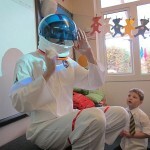 He arrived wearing his “NASA space suite”, including his helmet which he kindly let some of the children try on. 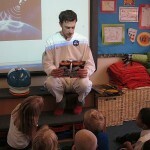 Having been learnng about space, the chidren had many interesting and insightful questions to ask the astronault. 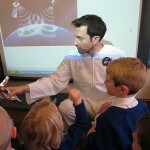 They were rewarded with vacuum packed space ice-cream!